St. Mary Magdalene Church in Lille, France, suspended its sacred services and handed over the church to host modern art expositions. 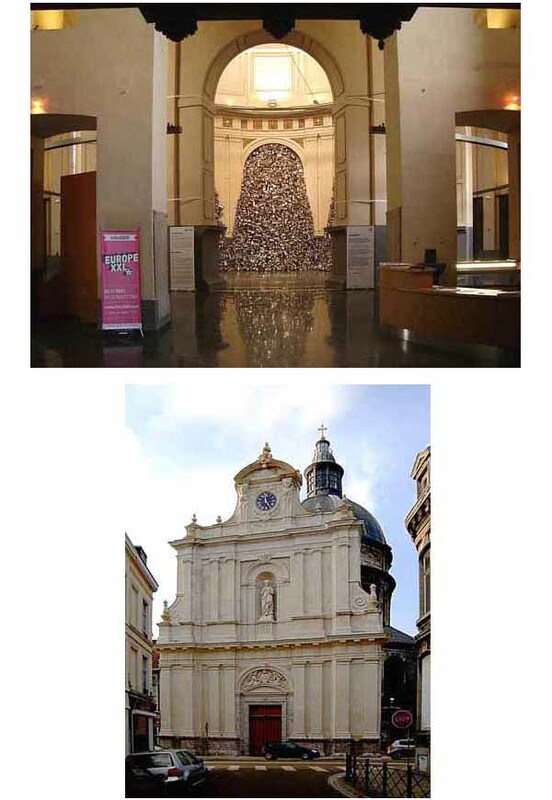 The exposition made in April 2004, above, shows a cascade of cans pouring down from the arches of the church. The thought that immediately comes to mind is that what comes from the Catholic Church is trash... 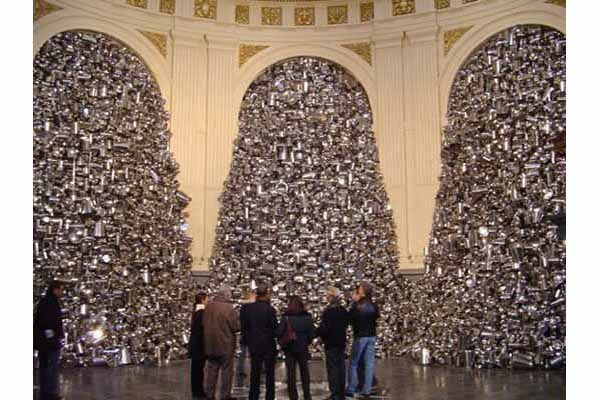 This "work of art" was made by Subodh Gupta, an artist from India. It is not clear who is behind these expositions - the Archbishop of Lille Laurent Ulrich or the city Department of Culture. Even if it were the latter, the Archbishop could have demanded that the Church never host any exposition that was irreverent. Below second row, the façade of the Church, considered a jewel of baroque art.